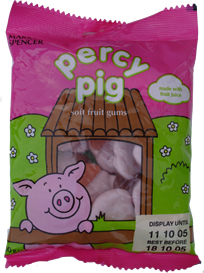 Percy Pigs are simply iconic and for most of us the only reason worth going to Marks and Spencer’s. Percy’s happy pink face is enough to cheer anyone up because the gummy piggies are so fruity and tasty they’re guaranteed to make you salivate. Even vegetarians and vegans can enjoy the delicious sweets as Marks and Sparks has released gelatine-free versions. Now take the joy you get from the pig-shaped sweet and multiply it by the pleasure of putting a sweet, sweet doughnut down your throat – that’s quick snack maths. Great news for those with a sweet tooth but maybe bad news for blood sugar levels because the latest instalment of novelty confectionary has appeared from Down Under as Australian brand Doughnut Time have popped the little pig on top of one of their delicacies. Aptly called the Notorious P.I.G, the bright looking doughnut is filled with strawberry buttercream and topped with strawberry glaze and pink sprinkles. A cherub faced Percy or two is the icing on the cake though. The rather pink doughnut isn’t just available in Australia though because Doughnut Time have recently opened stores in the UK. If you are lucky enough to be in London then make sure you take a trip to their branches Shaftesbury Avenue or Shoreditch to pick one up. I can’t wait to get my mucky trotters on one! Percy has been a very busy piggy lately celebrating his 25th anniversary, embarking on a trip around the world, met the pig of his dreams in Penny and even fathered his own litter of adorable piglets. Marks and Sparks now have a whole line of inspired products including a cocktail made from Percy Pigs infused vodka combined with mandarin and raspberry juice. It’s a great time to have a sweet tooth as an M&M chocolate spread with crispy bits is now on the market. Yes, you read correctly! Our prayers have been answered with the favourite chocolate snack now available in a yummy spreadable form you can use on toast, cakes or eaten straight out of the jar with a spoon. I think I’ve got my plans sorted for tonight then! Available in ASDA stores across the country, as well as online, it costs £2.79 which although may sound pricey, is totally worth it for a large sharing jar filled with deliciousness. It’s arrived just in time for Pancake Day, taking place this year on February 13. Blue M'M chocolate spread with crispy pieces. YES PLEASE. I will av some of that. 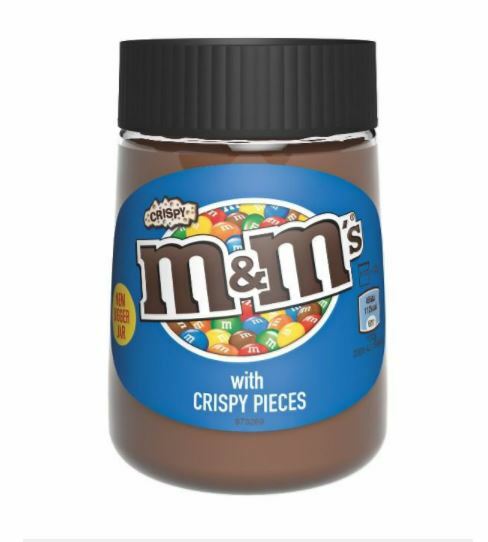 If anyone’s interested crispy m&m spread will be on sale in asda on Monday ?? The spread is suitable for vegetarians although those with a nut allergy will want to avoid it as it does contain hazelnuts. This month another popular product was given a new funky twist sending people into social media meltdown mode. Tango Ice Blast has always been the best part of going to the cinema and now it’s available as a creamy sorbet. Crolla’s Gelataria is an ‘award winning family company that has been producing traditional Italian Gelato in Glasgow for over a hundred and twenty years’. We went down for a meeting with the team and were getting ideas together for something that would be popular and go viral. We already sold flavours of the Tango Ice Blast so we thought ‘why don’t we make a sorbet out of that’. It’s been going down really well and we only trialled it as a gimmick back in October, but it’s been really popular on social media. We do other stuff like gin and tonic sorbet and were thinking of doing like a frozen Fanta sorbet. We’re still perfecting the recipe for the Tango Ice Blast, but I think it’s so popular because it’s quite nostalgic. If you’d like to have a try, the sorbet is available in Edinburgh, Aberdeen, Glasgow and High Wycombe branches of the Gelataria.